12. 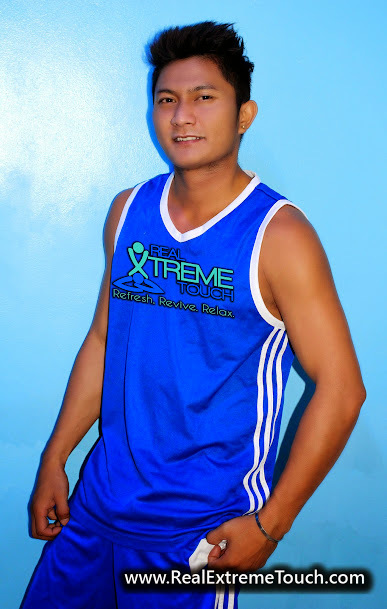 Masseur's Photos, Profile, Skills, Etc. 15. Why take Hydrowash Massage? I know that there would always be new door that will open if once one door closes. Quick Tips of DOs & DON'Ts. For inquiry, is he still available sa spa? Okay ba sya kung home service? Thank you! Real Extreme Touch (RET) has been in existence of providing satisfactory massage service since year 2001. On 21st May 2014, the new management embodied great changes empowering the values of its people and enhancing its facilities in order to serve its clients (guests) with great atmosphere of revivals, and refreshments, relaxations. Such values formation leads its people to the presence & importance of The Almighty, Their Family, Themselves, The Client (Guests) & The Company in the midst of every single deeds. Thereby, as the new management produce good people, its services becomes more personal-oriented with heart-warming quality massage services.